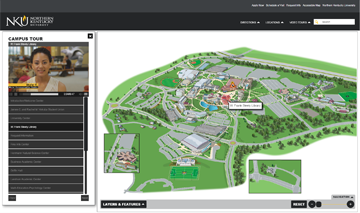 CampusTours AnyMap 5.0 is a cutting edge interactive map platform that works with ANY type of map graphic and also features satellite map integration, directions and guided tour features. 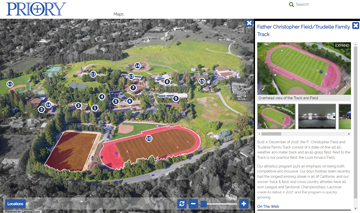 Organizations may utilize map artwork that has already been produced for their location(s) in AnyMap, or develop new map artwork as part of the project. All New in 2018: AnyMap 5.0 Service Launched! 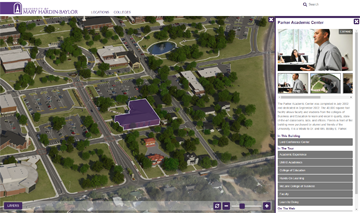 University of Mary Hardin-Baylor integrates a photorealistic map into the CampusTours AnyMap system. 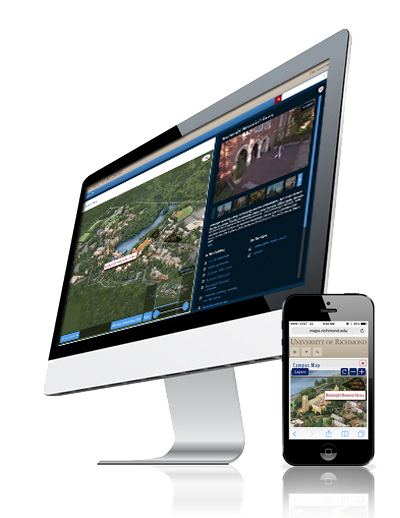 Woodside Priory School pairs AnyMap with an aerial photograph of campus for an affordable interactive experience. 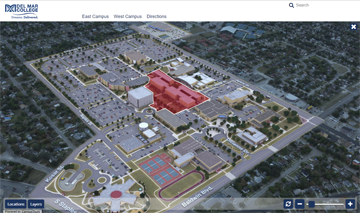 Del Mar College implements the AnyMap system with photorealistic maps of two campuses and a GoogleMap regional map. 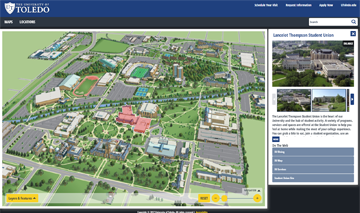 The University of Toledo uses the CampusTours AnyMap system for their interactive campus map coupled with a GoogleMap regional map. Developed a custom 3D Vector campus map and created video Campus Tours [English|Spanish] and Housing Tours [English|Spanish]. 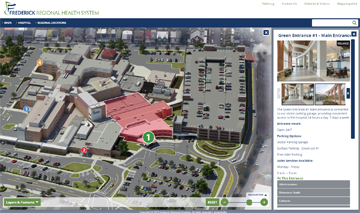 Photorealistic campus map artwork featuring custom entrance markers is combined with a map of regional health center locations.